Just as an update to Karczoid's post, he arranged to upgrade to 3.0.13 a couple of months ago and the issue was resolved. To make XAVC works with FCP 7, it is better to convert XAVC to Final Cut Pro 7 more supported Apple ProRes, DV etc. I use iDealshare VideoGo to achieve this goal. It can convert XAVC to Apple ProRes. It also helps to convert XAVC video files to other video formats like MP4, AVI, WMV, MPG,MPEG-2, MPEG-1, VOB, TS, RMVB etc. I have a problem with media from Sony FS7. 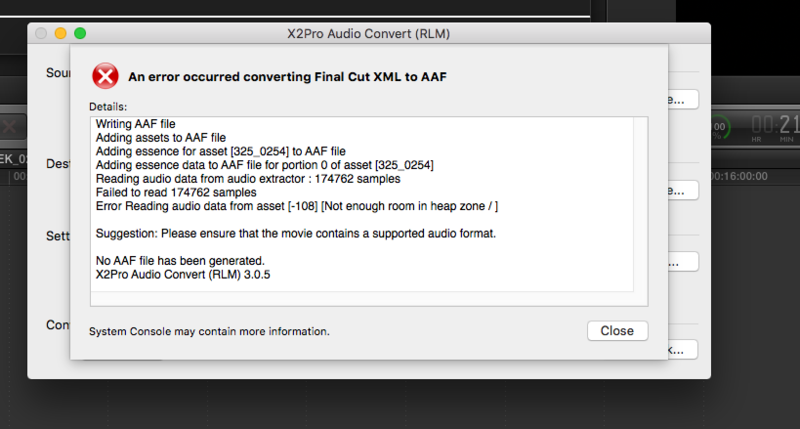 FCPX performs export of XML but X2Pro (3.0.5) doesn't want to make AAF. Will pop you a mail with details of a drop folder on our ftp site because we will need to have a look at these particular AS7 files. to be able to diagnose. updating to the most recent version solved my problem. Sorry, that's all I can say. As you are on the most recent version, this probably is not of much help. But also bare in mind that my file came from the FS7. It seems to be a different story with your camera. Hi... read through this forum,and while it's definitely my issue, answers don't seem entirely clear (though, it looks like you're good at helping). I have a Sony AS7Ii... this all the native audio is XAVC_S (i guess). So when I try to make the AAC file, I get your error message: "Unsupported Files"...which I'm assuming is the AS7ii files (my other audio is standard mp3s and zoom h4). Are you suggesting I have to change all my file names from the project from .mp4 to m4v? I'm hesitant to do this, since other people are involved in the project and I don't like changing file names... on my side (and not theirs). But if this is what I have to do to create an XML, then I guess I have to. There is no issue with the FS7 XAVC-I files. The original issue was with the audio from the A7S produces XAVC-S files. This has been fixed. I own two FS7s and have never had any issues with the files from these cameras with X2Pro. would you be able to tell me if the problems with the Sony XAVC codec still exist. I need to export my audio for Pro Tools, but I want to make sure this problem is solved before I purchase the software. The footage of my film has been shot on the Sony Fs7 all in XAVC-I. Last Edit: 3 years 6 months ago by Graeme Robinson. Same for my A7s, while FCPX actually support XAVC from camcorders like F55, why not simply add XAVC-S into their support list? As for now I have to transcode XAVC-S into master file(ProRes). Hi hansjj, I don't understand your post. Are you having a problem using X2Pro? 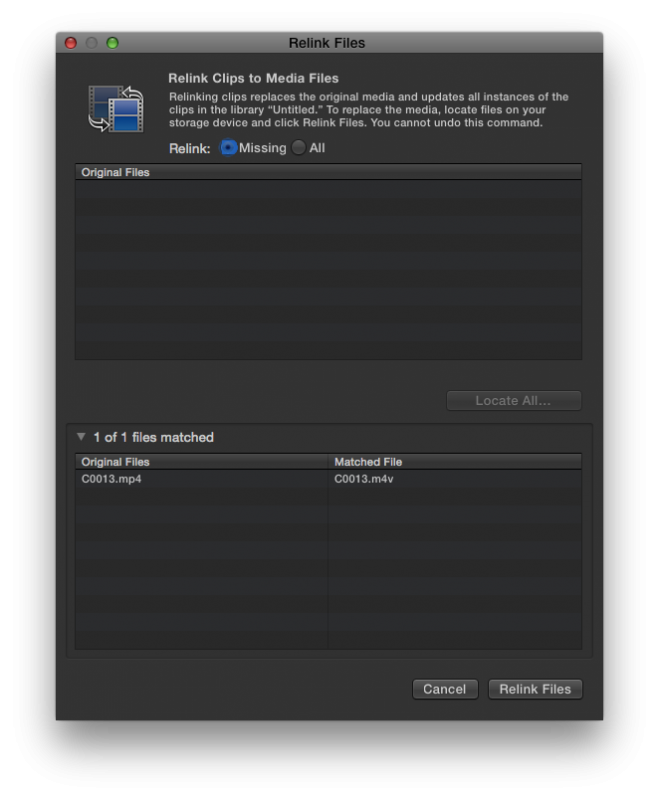 it actually not easily to import the mp4 or mav files to fcp x cause fcp x supports the prores mov as the best. sometimes the fcp x plun-ins may help a lot but there are still some issues with the audio lost. I suggest you here to look for a professional FCP converter to get all the incompatible troubles! FCP X does let you relink an MP4 to an M4V, I just did it on my system to confirm that it still works.